Our nursing department provides excellent care with dignity for our residents and guests. Professionally staffed around the clock, we give your loved one comfort and specialized care. Each of our residents comes to Richwood Nursing & Rehab with very different and specific rehabilitation needs. Our entire rehab team is committed to creating individualized therapy programs that directly fulfill those specific needs. 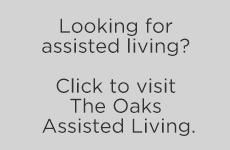 We encourage each resident to achieve their maximum potential of independence and ability. Our caring staff is committed to creating a comfortable environment for those in need of hospice services. We are here to assist each resident and family through this process with compassionate support, communication, guidance. A positive and uplifting atmosphere is vital to the success of healing, recovery, and rehabilitation. Richwood Nursing & Rehab employs outgoing and friendly professional staff to create social programs and activities to fit the residents’ needs. We provide a monthly activity calendar to each resident to keep them informed of upcoming events. Friends and family are always welcome to visit and attend our special events. Social services provide essential information, manages requests and concerns, coordinates appointments, maintains contact and open communication between the facility, families and the residents. Social Services staff also help in care planning and discharge planning for each resident.